Preheat your oven to 400 degrees. Using a hot, preheated oven will help your casserole reheat more quickly, saving you time and helping to keep the vegetables from drying out. Move your casserole into an appropriate container, if necessary. Use an oven-safe container such as a glass casserole dish, a stainless steel pan, a ceramic dish or an aluminum pan. Cover the top of the casserole dish with aluminum foil. Secure the sides tightly in order to keep the vegetable casserole from drying out. Place the covered casserole in the preheated oven. Close the oven door and set your oven timer for 10 minutes for a small casserole or 20 minutes for a large casserole. Check the internal temperature of the casserole when the timer rings. Remove the foil and use a digital or analog oven thermometer placed in the center of the casserole to ensure the internal temperature is at least 165 degrees. If the temperature is less than 165 degrees, remove the thermometer, close the oven door and heat for five more minutes. Check the temperature every five minutes until the casserole is thoroughly warm. Use oven mitts to remove the vegetable casserole from the oven and serve. Look on the bottom of your vegetable casserole's dish. 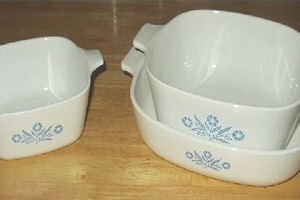 A microwave-safe dish is made of glass, microwave-safe plastic or ceramic. Look the words "microwave safe" on the container to ensure you can use it in the microwave. Avoid using foam containers, soft plastic, paper bags or plastic wraps, according to the U.S. Food and Drug Administration. Transfer the casserole to a microwave-safe dish, if necessary. Place the dish in the microwave oven and close the door securely. Set the oven timer for two to five minutes. Set a shorter time if you are reheating a small amount of vegetable casserole to avoid drying out the vegetables. Remove the vegetable casserole from the oven when the timer beeps. Place a food thermometer into the center of the casserole, taking care not to touch the bottom or sides of the pan. If the temperature reads 165 degrees, you can safely eat the casserole. Return the casserole to the oven if the temperature is lower than 165 degrees. Set the microwave timer for an additional 60 seconds, and press start. Recheck the temperature when the timer beeps again. 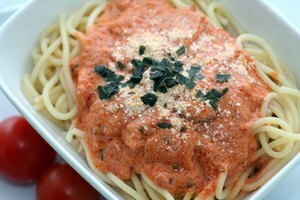 Stir the casserole midway through both microwave and oven reheating to distribute the vegetables and sauce evenly. If your casserole has a topping, such as bread crumbs or crushed crackers, cook the casserole in the oven for an additional five minutes without a foil cover to crisp the topping. Avoid covering your vegetable casserole with plastic wrap during the microwaving process, due to the possibility of melting. 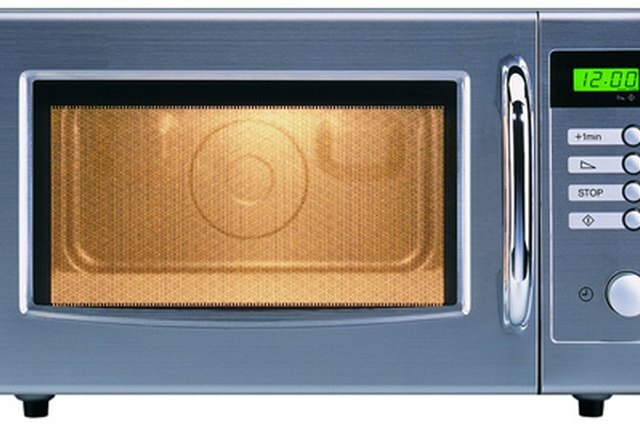 Test several spots of a microwave-heated casserole, as some microwaves do not heat evenly. University of Nebraska Cooperative Extension: Pass the Taste Test...Use a Thermometer!